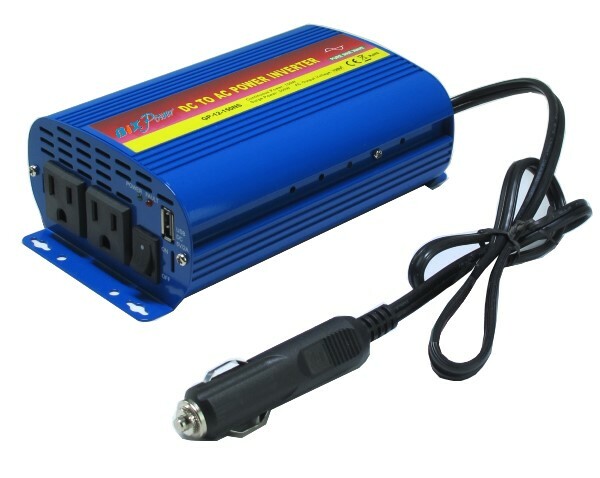 This DC to AC power inverter can convert DC power from a car cigarette lighter socket or a 12V battery ( Voltage range can be 10V ~ 17V) into 120V 60Hz pure sine wave AC power, which is similar to the power supplied from your home electrical outlets. Fanless design make this inverter is much quieter than most of fan cooled inverters on market. Inverter input side is a car cigarette light plug, which can directly plug into a car cigarette lighter socket. It can accept 10V ~ 17V DC input, make it works for more batteries than most 12V inverters on market. 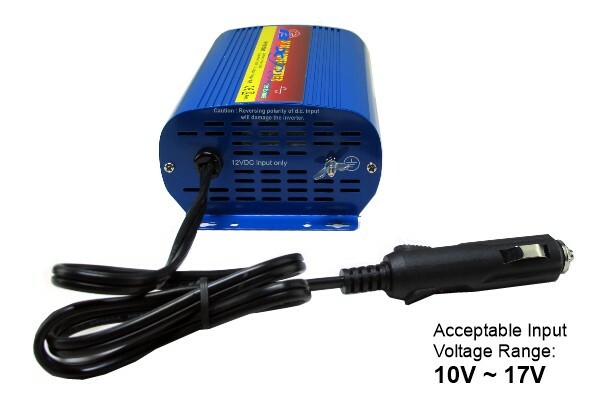 It works for traditional 12V such as lead acid batteries /car batteries. It also works for lithium ion batteries with 10.8V/11.1V or 14.4V/14.8V nominal voltages. Heat Dissipated: Fanless. Body disposal heat. No fan. Compared to the traditional inverters, which output in modified sine wave, AC power in pure sine wave is more similar to commercial power. The electronic appliances run cleaner, cooler, and quieter when running on pure sine power. As a result, pure sine inverters save energy costs and extend the life of appliances. Important Note: Power inverter itself does not generate any power. All its power output is from the battery it's connected to. The power inverter just changes the power format and its efficiency rate is about 85%. 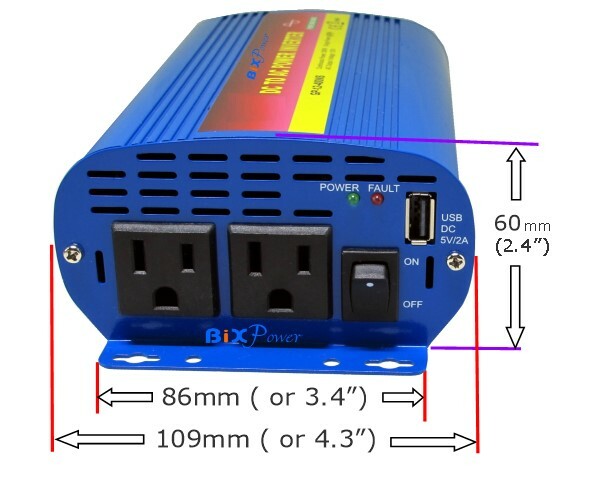 This power inverter rated output is 150W. However, the actual power output from the inverter is also limited by the battery output. 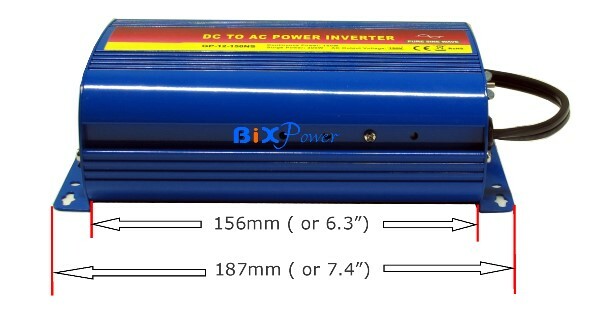 To get 150W power from this inverter, the connected battery output need to be around 175W. Most car cigarette lighters may only supply a maximum 120W power.